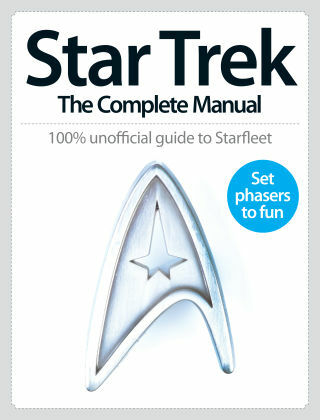 With Readly you can read Star Trek The Complete Manual and thousands of other magazines on your tablet and smartphone. Get access to all with just one subscription. New releases and back issues – all included. Beaming in from the makers of SciFiNow is the Star Trek: Complete Manual. Inside the issue are complete guides to every era of the Star Trek, from The Original Series and The Next Generation to Deep Space 9 and Voyager. Also featured is an interview with the late great Gene Rodenberry, as well one-on-ones with the original dynamic duo, William Shatner and Leonard Nimoy. Bringing our unrivalled coverage full circle are behind-the-scenes features on the 2009 movie reboot and its sequel, Star Trek Into Darkness, featuring interviews with near enough every member of their all-star cast. Delving even deeper, we examine forgotten curios like Phase II, the Star Trek series that never was, and take a look back at the Animated Series.